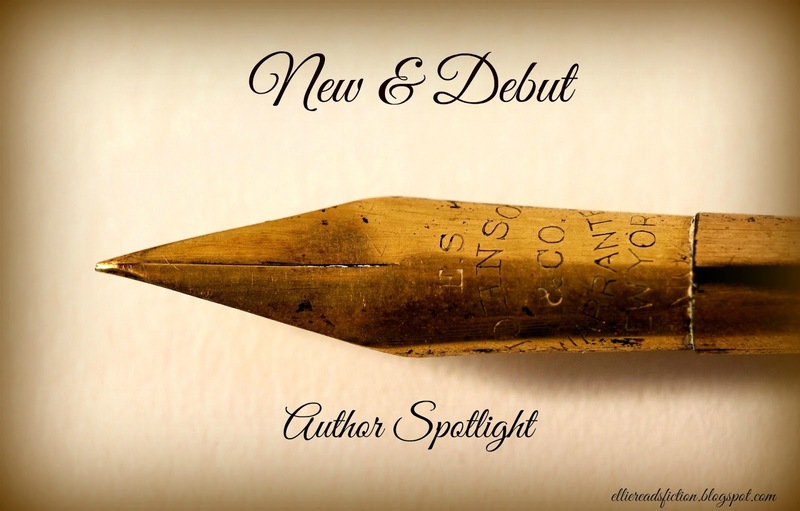 Here is another New and Debut post and I'm delighted to introduce to you Lucy Parker, author of contemporary romance. I read her debut novel, Act Like It (review), a romantic comedy set in the theatre world of London and I enjoyed everything about it. 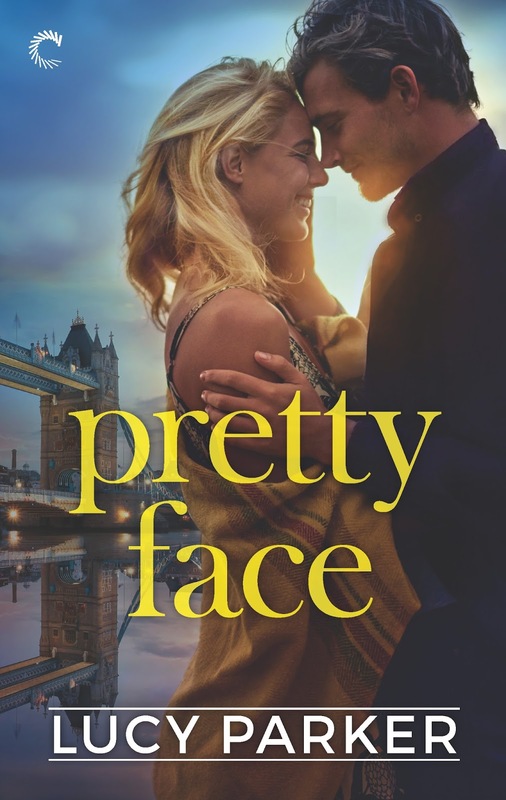 I was lucky enough to get an ARC of her next novel, Pretty Face, which comes out on Feb 20 and which in my opinion is even better than her first book. 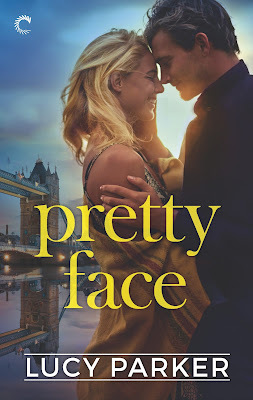 Read on to learn more about Lucy Parker, her upcoming book and a short excerpt from Pretty face. 1. Tell us about yourself and why did you become a romance writer? I’m probably similar to a lot of people in that I started writing stories at a young age. I was always terrible at maths and science (in fact, I was so bad at science that after an…incident, my high school chemistry teacher had to watch over my shoulder when I was doing practical work, to make sure I didn’t accidentally blow up the lab), but I loved reading and I loved writing. And I was a romance fan from the beginning. Even my long-suffering Barbie and Ken dolls were put through an epic romantic saga. At one point, Barbie had a terrible fall off a cliff (my bed), lost her memory and temporarily dumped Ken. The amnesia trope: never gets old. It was watching the Colin Firth and Jennifer Ehle version of Pride & Prejudice, though, that really directed me toward romance novels. I loved the miniseries so much that I read the book, my teacher saw me with it at lunchtime and gave me a copy of Jane Eyre to try, then my mum’s best friend showed me her shelf of Georgette Heyer novels, and that was that. I was about twelve when I realised there was an entire section of romance novels at the library, and at that point I might as well have packed a bag and moved in, because I pretty much lived there. I have so many, and different favourites for different times in my life. There are the books that I turn to when I’m stressed and need a laugh, the books that I’ve read so many times that the characters feel like real people to me, the books that have got me through some very difficult times. To name just a tiny few, in a total mix of genres and no order whatsoever: Jane Austen, Georgette Heyer, P.G. Wodehouse, Agatha Christie, Ngaio Marsh, Nalini Singh, Laura Florand, Julia Byrne, Julia Spencer-Fleming, Laurie R. King, Robin D. Owens, Lois McMaster Bujold, J.K. Rowling, Elizabeth Hoyt, Penny Reid, Eileen Wilks, Susanna Kearsley, Laura Kaye, Kresley Cole, J.D. Robb, Carla Kelly, Pamela Clare, Jenn Bennett, Sarah Mayberry and Julianne Donaldson. In terms of specific titles, a handful of my all-time favourites: Nalini Singh’s Kiss of Snow, Laura Florand’s The Chocolate Rose and The Chocolate Touch, Julianne Donaldson’s Edenbrooke, and Susanna Kearsley’s The Shadowy Horses. I don’t know if I could say any one particular author here. I honestly think that the books you read and love become such a part of you that they do shape your personality as you grow and age, and it’s everything you read and see and hear that channels into your own voice. Adult contemporary romance, but I’d love to try other genres as well in the future. My new release, Pretty Face, is out on February 20. It’s a standalone contemporary, but set in the same world as my previous book, Act Like It—the West End theatres of London. The heroine, Lily Lamprey, is an actor on a primetime period drama/soap opera, where she plays one of the villains of the show and is hopelessly typecast as a man-stealing half-wit. Her dream is to make the move into theatre and prove to the skeptics that she can actually act. She sees an upcoming production as her big chance—if she can put up with the bad-tempered director. Meanwhile, iconic director Luc Savage is appalled that he’s being stuck with the “Marilyn Monroe impersonator” who probably needs direction to tie her own shoes. They don’t expect to like each other. They certainly don’t expect to fall in love. And their relationship has the potential to ruin both Lily’s career and Luc’s reputation. Luc Savage looked like Gregory Peck, circa some dapper time between Roman Holiday and To Kill A Mockingbird. There was more bulk in the shoulders, silver in the hair and darkness in the soul; otherwise, the resemblance was uncanny. Lily had seen him once before, at an opening night for another director’s play. The theatre had been full of famous faces that night, and the production distractingly bad, and she hadn’t paid him any particular attention. Her mental image of him had been formed more closely and recently by Jamie’s faithfully repeated insults, so she’d been expecting something more along the lines of an orc. Any resemblance to Old Hollywood charm ended at his bone structure. He stood in the doorway to his office, surveying her. When she’d arrived, his secretary had also done a head-to-toe sweep, and then shaken her head in apparent disbelief, which hadn’t built Lily’s confidence. She stared back at him, directly into his unimpressed grey eyes. She had put a stranglehold on her nerves during the long wait, dialling back from jiggling knees to a bit of subtle nail-picking. Yet all of a sudden, she wasn’t nervous at all. This was Luc Savage. Award-winning, career-making, ego-curdling Luc Savage. Get-in-my-way-and-I’ll-crush-you-like-a-bug Luc Savage. And her driving instinct was to touch the tips of her boots to his—and then stand her ground until he stepped back first. They released each other’s hands; their eyes met again.